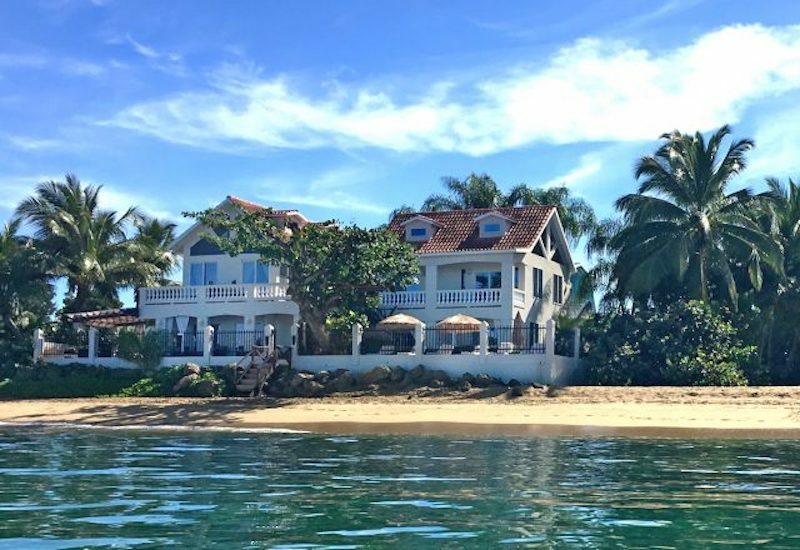 Tres Sirenas, the premier Caribbean boutique hotel, is proud to announce the re-opening of its stylish and sophisticated property located oceanfront in Rincon, Puerto Rico following 10 months of closure due to Hurricane Maria. This intimate award winning hotel is a stand out in Puerto Rico and designed with privacy and comfort in mind. The location is what really sets the hotel apart with spectacular views of the ocean and the glorious Rincon sunsets. At Tres Sirenas, guests can unwind in style and get back to nature, without leaving the comfort of their surroundings. The elegant Spanish Colonial hotel offers five exclusive accommodations, all with exquisite panoramic ocean views and private verandas. Each guest room is uniquely decorated in a coastal, bohemian style, and are equipped to meet the needs of the discerning traveler – with complimentary WiFi, AC, LED flat screen TV, mini fridge, coffee maker and microwave. This is further enhanced by deluxe toiletries in all bathrooms. The Seaview Suite and Penthouse are equipped with full kitchens and master bathrooms. The accommodations combine modern comfort in a tropical boutique hotel environment. All guests enjoy a top-rated gourmet vegetarian breakfast which incorporates the best of Rincon’s local products and is included with each stay. The spacious outdoor common areas offer ample space and privacy with pool, beach front cabana beds and a newly constructed yoga deck which are surrounded by lush tropical gardens, palm trees and a majestic almond tree that anchors the property. Tres Sirenas is excited to begin offering Jivamukti Yoga classes to their guests, as well as the extended Rincon community. In addition, guests can also experience the “Siren” inspired boutique, La Vida Sirena, all conveniently situated on the property which is within walking distance to town, restaurants, water sports and the best of what this beautiful town has to offer. Rincon, Puerto Rico is renowned for its surfing beaches, peaceful, easy going lifestyle and yoga community. It has rebounded 100% after Hurricane Maria and it is easily accessible via a direct flight from JFK & Newark airports to Aguadilla, which is a short 40 minute drive to this exclusive oceanfront property. Behind the re-design of Tres Sirenas are two accomplished women, founder Lisa Masters and partner Wanda Acosta, ex-New Yorkers and beach life enthusiasts. Besides, being a successful inn keeper, Lisa is also an accomplished Jivamukti Yoga instructor and fine artist. Wanda is a visual artist and a veteran in the hospitality industry in NYC.